It can become disheartening to look at the stains, dirt and grime found in your home or business’ furniture. But if you think the only solution is to head to the nearest furniture store – think again! Kleen Rite’s team of service professionals in the Oakville, Ontario area can provide the solution! Our professional, deep steam upholstery cleaning is your most effective method to get your upholstery looking great again! Regardless of the stain or smell present on your couch, chair or cushion, Kleen Rite’s professionals know the best cleaning method to remove it. By first applying an effective pre-treatment, stains are brought to the surface, making them easier to eliminate. When we rinse your upholstery, we use a high-pressure, high-temperature steam cleaner to get it looking its best. Get ready to be amazed! Even if you think that a certain old upholstery stain may not be able to be removed, let us work our magic! Our professional team of upholstery service technicians is well experienced cleaning all types of upholstery fabrics. We have experience removing the most stubborn stain and residue marks. We will do our best to surprise you by removing them from the upholstery in your home or business! At Kleen Rite, we believe in providing the highest quality cleaning service – all at a reasonable rate. From the initial inquiry about your upholstery cleaning needs through to job completion, our service team will never cease to amaze you. Our professional, respectful team believes in providing service with a smile and cleaning your upholstery right the first time. If for any reason, you are not happy with our services, we promise to make it right. All of this and more is what helps maintain our solid reputation in the cleaning industry! Contact Us Today for Your Oakville, Ontario Upholstery Needs! 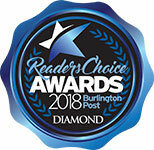 We provide the best quality upholstery cleaning services in the Oakville, Ontario area and have the awards to prove it! Our quality cleaning service extends beyond upholstery, too. We also offer duct cleaning and carpet cleaning, as well as a discount if you bundle two or more of our cleaning services together. Why trust anyone else to clean the upholstery in your business or residence? Contact Kleen Rite today to arrange for a free estimate on your upholstery cleaning needs! I would like to express how pleased I am with the service Kleen Rite provided. My sectional was a complete mess with a 2 year old spilling everything you can think of on it. I am looking at the sectional right now and can’t believe all the watermarks and stains are gone. I didn’t expect it to be as clean as it is right now. The representative did such an awesome job and he was so professional from start to finish. The pricing was just right because my sectional is extra large. I will surely recommend your services to my friends and family. You guys are awesome. Keep up the good work.